Vision is an important sense of the body and it is paramount not to lose it. In the past, many people lost their sight due to vision-related ailments that were too complicated for the medical sector to be able to correct. The world has advanced in technology over the last years hence making medical breakthroughs that seemed impossible before the advancements. Eye surgery is a result of such advancements that has saved many lives in recent times. The eye surgery procedures have become reliable, accurate and common means of reclaiming one's healthy sight. What is Eye Surgery and What are the Different Types of Procedures? Eye surgery is either extra ocular or intraocular. The extra ocular eye surgery concentrates on the exterior of the eye such as the muscles surrounding the eye, while intraocular surgery concentrates on the inside of the eye. It can be corrective or cosmetic, depending on the needs of the patient. Corrective eye surgery is essential for curing eye problems such as blurry vision, near sight, far sight, presbyopia, and astigmatism. It also helps patients with problems with seeing in low light or sensitivity towards bright lights. These include cataract surgery, LASIK eye surgery and presbyopia eye surgery. Cosmetic surgery involves eye lifting of eyebrow lifting, making corrections to strabismus etc. The three procedures of intra ocular eye surgery operations use the refractive correction technology to correct visual problems and abnormalities. Corrective eye surgery improves the life of the victim by removing their dependency on glasses and other visual aid objects such as optical lenses. It has minimum risks involved due to the advancements in technology and medical breakthroughs. Cataract eye surgery is common in the UK since it restores visual normalcy caused by the known cataract diseases that are common with elderly people. Another disease that is curable by eye surgery is glaucoma. The cause of glaucoma is damage in the optical nerves resulting from a raised intra ocular pressure. What is Eye Surgery as far as Preparation and Caution are Involved? Eye surgery is a major operation with risks that need to be taken into account before the procedure takes place. It is hence paramount for patients who wish to undergo eye surgery to make sure that they discuss the terms and risks of the surgery with their surgeon. The eye is a delicate organ that needs intensive care during and after an operation to reduce the risk of sight loss. 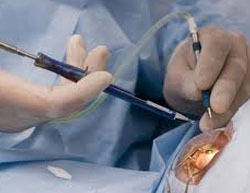 Anaesthesia is a requirement during the surgery since the patient must cooperate to ensure a smooth operation. The proper sterile tools are necessary at all times. Cardiovascular monitoring is also important during the procedure. The surgeon must wear protective gear to ensure that the environment is sterile and free of pathogens that may cause an infection after the operation. The eye is usually sore after eye surgery, and it is important to stay away from sun exposure, swimming or any other strenuous activity until it heals properly. Any pain or infection after the surgery should be reported to the doctor immediately for further evaluation since most eye surgery procedures have a fast recovery speed.